Both applicant and his/her parents must be citizens of the foreign country. Applicants cannot have Korean citizenship. Applicants should be in good health, both mentally and physically, to stay in Korea for a long period of time. Applicants must accurately fill out the Personal Medical Assessment among application documents. All successful applicants must take a medical exam after and submit an Official Medical Assessment. If the results show that the applicant is unfit to be a KGSP student (e.g. 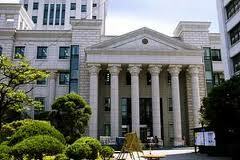 HIV, drug addiction, or other serious illnesses), selection result will be canceled before entry to Korea. Applicants who are enrolling or have already enrolled in any degree program in Korea are not eligible to apply. For Doctoral program: students who hold a Master’s degree or a diploma that is equivalent to or higher than Master’s degree. Applicants who are expecting the adequate diploma should present their diploma by September 03, 2012 when they arrive Korea. If the grade is difficult to convert to percentage, official explanatory documents from the attended university are required. Priorities or additional marks will be given to applicants who has obtained Korean language proficiency test scores(TOPIK, KLPT) or English language proficiency test scores(TOEFL, TOEIC, IELTS) at the first round of selection. In the event two or more applicants show same qualifications or recive same marks in the selection process, preference will be given to applicants for science/engineering area to separate the tie. Dual recommendation by more than one organization is not acceptable. Documents should be presented in the original form. Documents not in English or Korean must be accompanied by a complete and accurate English or Korean translation certified by the issuing institution. Submitted documents will not be returned to the candidates. In case of submitting copied documents inevitably, applicants must submit the original to the organization(Embassy or University) they apply and have the two documents collated. Applicants must accurately fill out the health checklist based on truth. All successful applicants must take a medical exam after and submit an Official Medical Assessment. If the results show that the applicant is unfit to be a KGSP student selection will be canceled before entry to Korea. Applicants may submit the copies of published papers, if available. Applicants may submit the copies of awards, if available. Applicants who are currently studying in Korea or graduated from Korean university must submit one recommendation letter of the head of department of the relevant university. No Student is allowed to transfer school during the entire period of program once they enter the school.